Make sure you use a real email address that you can easily access. Once you’ve done this, click Signup, and you’ll be taken to the application form. Most people will not have all the information necessary to complete the application on the first visit. To save an application as a draft so that you may return to it later, scroll to the bottom and click the Save Draft option. If you ever access the application from a shared computer, you might find that someone else was on the site before you. If you load the application form and don’t see the Login/Signup box displayed above, immediately scroll down, click Return to Menu, and then click Logout. 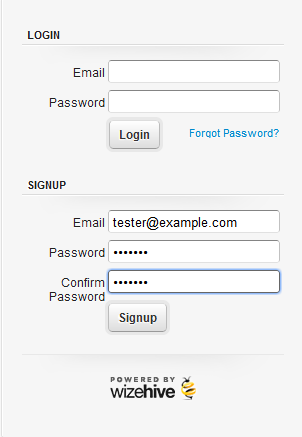 After that, you can log in with your own credentials. Most people will need to come back to the application at some point. If you have started an application and saved it as a draft, it’s now associated with the email address and password you entered the very first time. 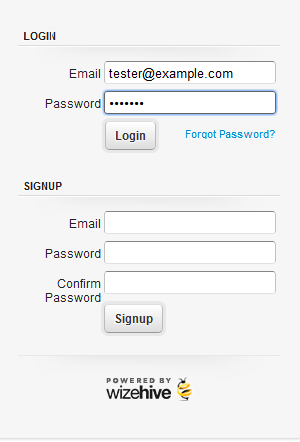 Enter your email address and password in the left hand side of the gray box and click the Login option. This will take you right back to the application you had saved as a draft.